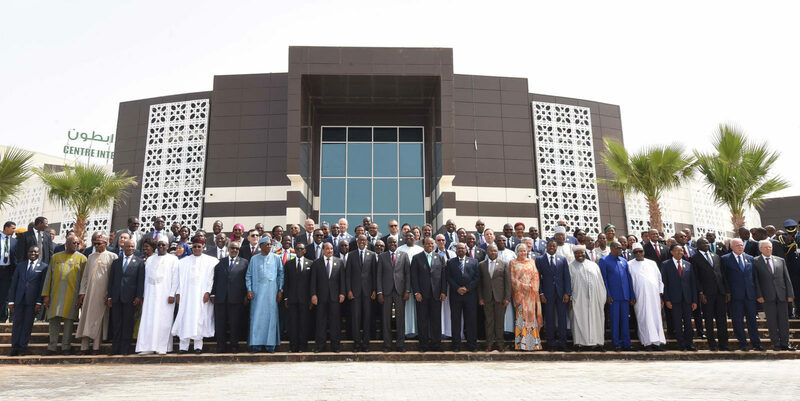 The 31st summit of the African Union (AU) ended on Monday in Mauritania with the African Continental Free Trade Area (AfCFTA), anti-corruption and security on the top of the agenda. A deadly bombing of a military base in neighboring Mali shortly before the start of the summit and a car bomb targeting French soldiers on Sunday, one day before French president Emmanuel Macron’s visit to Nouakchott has casted a shadow over proceedings. A total of 24 African presidents made the trip to attend the summit. Among them: Muhammadu Buhari from Nigeria (in charge of the Corruption file), Paul Kagame from Rwanda (and President of the African Union), Mahammadou Issouffou from Niger (in charge of Integration), Denis Sassou Nguesso from Congo (in charge of the Libya dossier), and South African President Cyril Ramaphosa. 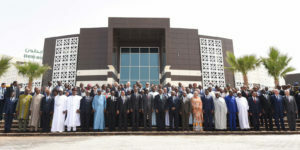 The presidents of G5 Sahel, Senegal, Guinea, Gabon, Eswatini (ex-Swaziland), Madagascar, Zimbabwe, Ghana, Djibouti, Comoros, Gambia, Sudan, and Equatorial Guinea also attended the summit. However, there were notable absentees like King Mohammed VI of Morocco, Abdel Fattah al-Sissi of Egypt, Paul Biya of Cameroon, Joao Lourençoe of Angola and Alassane Dramane Ouattara of Côte d’Ivoire. As the continental body’s ambitions to silence guns in the continent by 2020, Mauritanian President Mohamed Ould Abdel Aziz told his counterparts at the opening ceremony that Africa urgently needs a comprehensive approach to deal with extremist attacks that takes into account the cultural and economic issues that are the root causes of violence. On the sideline of the summit, the AU Peace and Security Council met with French President Emmanuel Macron to discuss the battle against extremism and ways to finance counterterrorism and peacekeeping operations. Rwandan President Paul Kagame, who is also the current president of the African Union, affirmed the organization’s support to the people of Ethiopia, Nigeria and Mali against extremist violence. The summit was concluded on Monday with progress made on anti-corruption and the African Continental Free Trade Area (AfCFTA). According to President Kagame, 49 countries, including South Africa, Sierra Leone, Namibia, Lesotho and Burundi, have signed the AfCFTA during the summit. Chad and Swaziland ratified the agreement, which brings the total number of ratifications to six. A minimum of 22 ratifications are required to enable the AfCFTA to enter into force. Posted by Emmanuel Agbenonwossi on July 4, 2018. Filed under Zoom. You can follow any responses to this entry through the RSS 2.0. Both comments and pings are currently closed.